Recalling ThreeWire’s on-going success with a "sister study team," our customer asked ThreeWire to help closeout enrollment as the deadline was quickly approaching. Often when sites know that enrollment will be ending, there is a "shift" of attention away from the study to new, "easier-to-recruit-for" studies. Such was the case with this study, as it had been open to enrollment for some time, and the "enrollment curve" was sloping in the wrong direction as the enrollment deadline approached. With a firm eye on the quickly approaching enrollment deadline, ThreeWire spoke with the targeted sites, and very quickly placed our on-site Enrollment Assistants™ (EAs) to help to follow-up on media referrals, to identify and recruit patients from within the site using ThreeWire’s Chart Review™ service, and to perform grassroots efforts in the community. In two months, ThreeWire was able to support three sites with EA services resulting in 40 newly consented patients. 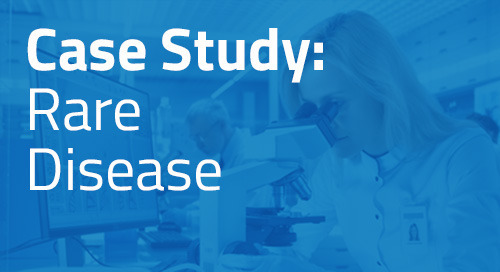 The team was thrilled with these efforts, as it allowed the study to close enrollment on time while providing sites with the necessary resources and focus to get interested patients in the door and enrolled in the study.